Prolific producer J.J. Abrams has lined up his next project with his frequent Star Trek collaborator Zachary Quinto, with THR reporting that the two have started work on a film about the secret love affair between ’50s film heartthrob Tab Hunter and his long-time romantic partner, Psycho star Anthony Perkins. 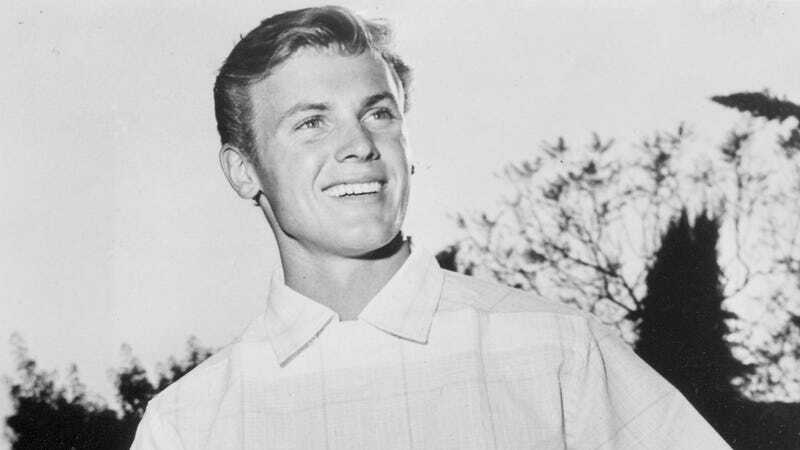 Tab & Tony will be based on Hunter’s bestselling 2005 autobiography, Tab Hunter Confidential, in which the singer and matinee idol opened up about his sexuality and the struggles of trying to have a love life with men while projecting an image of heterosexual normativity on the silver screen. Although Abrams and Quinto are producing, the film’s development is still in early days, with no director or stars yet attached. (We could see Quinto doing a pretty serviceable Perkins, though, if he decides to do more than produce.) Pulitzer Prize-winner Doug Wright, who penned the play that became the 2000 Geoffrey Rush movie Quills, has been set to write the script; meanwhile, Hunter’s autobiography recently got the documentary treatment, too, courtesy of a film of the same title released in 2015.